The best way to ensure that your event runs successfully is to plan and be prepared. Use our party planning checklist to guarantee first-class festivities. Your checklist is there to help you achieve your goals, so the first step is to note down your objectives for this event. Are you looking to make a certain amount of money? Do you want to create awareness of your product? Maybe your event will count as a success if you get everyone talking, or get a certain number of mentions on social media? The answers to these questions will determine all the decisions you make, so take the time to brainstorm how you’ll achieve these things and which indicators you’ll use to measure your success. The date and venue are the basic elements of any event. You can’t get much further with your party planning before ticking off these initial items on your checklist. Choose your date with care. If it’s a New Year’s Eve party, there’s not much leeway in the calendar, but for most other events you can be a little more flexible. Make sure it doesn’t clash with other important dates! Secure your venue. Somewhere close to public transport is usually a good option. Now comes the main task; deciding on the key features of your event. Guest speakers and celebrities, entertainment, decorations, food and drink must all be chosen and booked – your event won’t be much fun without them! Visually enhancing your event with special effects is a sure-fire way to entertain guests, giving your event an edge over others. Planning a live event such as a film premier or awards ceremony? 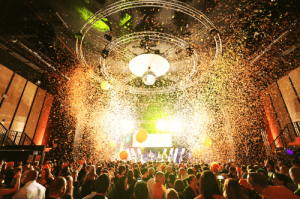 Consider releasing a silent storm of confetti with swirl fans, covering guests when a winner is announced or create an exciting chase sequence across a stage with CO2 jets, indoor flames and brightly coloured sparks. Planning a promotional event or retail project such as marketing stunt or product launch? People are often captivated by the sight of moving water, so consider bubble walls and rain curtains. You want it to attract a crowd, so a bespoke designed effect will certainly spark conversation. 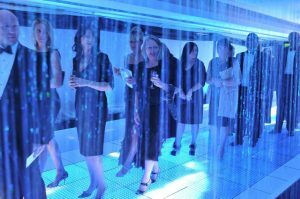 Planning a social event such as a corporate party or charity event? Think fireworks – a great way to end an evening and really WOW your audience. Entertainment Effects have provided the visual entertainment at many prestigious events. Call 01707 269566 for more information or email contactus@entertainmenteffects.co.uk. Liaise with your venue to plan your set-up, such as sound and seating for live events. Contact your speakers and other VIPS to arrange details. Be clear on what you need them to do (including any participation in publicity before the event) and prepare contracts to be signed if appropriate. Organise travel and accommodation for everyone who needs it. Contact the media and invite them to attend your event. Organise your catering by talking to the venue or an external company. Publicity is an essential element in any party planning checklist. Even if you haven’t finalised all the small details, it’s important to let people know about your event as soon as you start planning it, so that your guests can save the date. If you’re planning an invite-only social event, draw up your guest list and get in touch with a ‘save the date’ card or something similar. If you are selling tickets, make them available online or at your venue. Websites like Eventbrite are a great way to manage events online. If yours is a PR event or publicity stunt, be sure to create a press release and contact relevant media outlets. Create an event information page on your website, send a promotional email and post details on social media. Posters and leaflets can be a good way to publicise a local event.